Iv’e always thought colored appliances in the kitchen was cool and this toaster is a perfect example. This vibrant KITCHEN AID Queen Of Hearts toaster is big on performance with a small, streamlined footprint. Equipped with always needed extra wide slots that accommodate all kinds of baked goods, this toaster includes innovative design features that make it easy to enjoy the perfect toast. 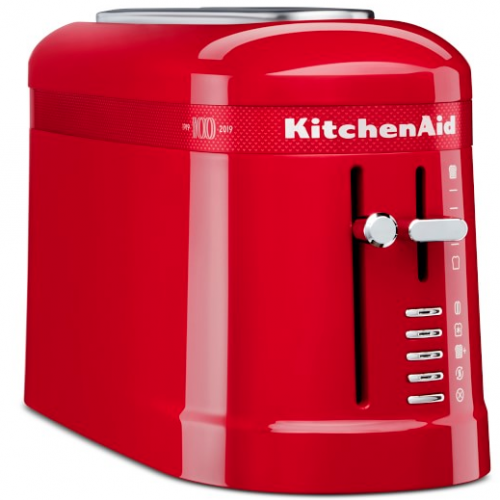 The bold red adds style to the kitchen and celebrates the 100th anniversary of the KITCHEN AID brand. Go HERE to get this in your life or gift the lover of red or toast.